In your opinion, what purpose does a learning management system (LMS) serve? If you’re like most people, your answer will be something along the lines of, “To facilitate training.” This is absolutely correct. An eLearning system certainly provides companies with accessible and affordable training options. But, beyond this, an LMS has numerous functions that help businesses operate at optimum capacities. 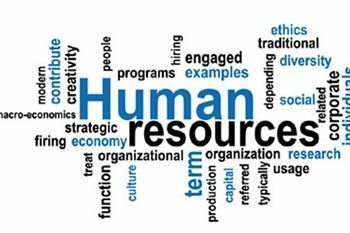 Human Resources (HR) is one department that can receive great assistance from an LMS. When HR specialists embrace an LMS as more than merely a system that hosts training and monitors learner success, they realize that it is a fabulous office tool for HR purposes. Keeps track of e­mail addresses – We can all agree that sending emails takes up a tremendous amount of time for HR. An LMS changes this. An eLearning system stores employee information, including email addresses, and allows administrators to send custom messages to individuals or groups easily. With an LMS, administrators are just moments away from emailing an entire department, a team of employees or a group of online course enrollees. Solves problems creatively – Problem solving is a skill that any HR specialist needs to possess. However, it is preferable for an HR worker to save his or her problem-solving energy for important issues, not run-of-the-mill office duties. It’s better to allow a customizable LMS with creative problem-solving capabilities to take care of menial HR tasks. Manages documents – The task of document management is often dreaded because of its tedious nature and high margin for error. However, an eLearning system greatly simplifies document management by allowing users to store documents in a shared database that is easily accessible. Makes onboarding easier – One of the most time-consuming aspects of onboarding new hires is processing their paperwork. Honestly, what HR worker hasn’t gotten lost in a sea of employee paperwork at one time or another? The good news is that an LMS eliminates the need for paperwork and allows new hires to complete user profiles, employee documents and personal profiles online. An eLearning system makes processing new employee paperwork a thing of the past. Hosts surveys – Have you noticed that whenever the idea of using a survey comes up, HR seems to be the department chosen to distribute the questionnaire? This just adds one more sizeable task to HR’s plate. With an LMS, HR specialists don’t need to waste their time conducting surveys. They can simply post questions and monitor responses through the LMS. Perhaps more than any other company department, Human Resources has much to accomplish each day. Thankfully, A social learning management system is amazingly helpful at decreasing an HR employee’s workload. While most people assume that an LMS is only good for training purposes, you have the facts and understand that an eLearning system is equally supportive of HR duties. Help your HR team stay organized by implementing a learning management system that manages documents, keeps track of emailing, solves problems creatively, hosts surveys, and assists with onboarding. TOPYX, an award-winning, flat-rate eLearning platform has all of these capabilities and may be the ideal LMS for your company. For some time, businesses have been training employees with affordable, accessible LMSs. Now, HR departments can also embrace the many tools an LMS offers to make their jobs simple and stress-free.